It is a truly special place and has been the co-star as a location in many films, including James Bond adventures. 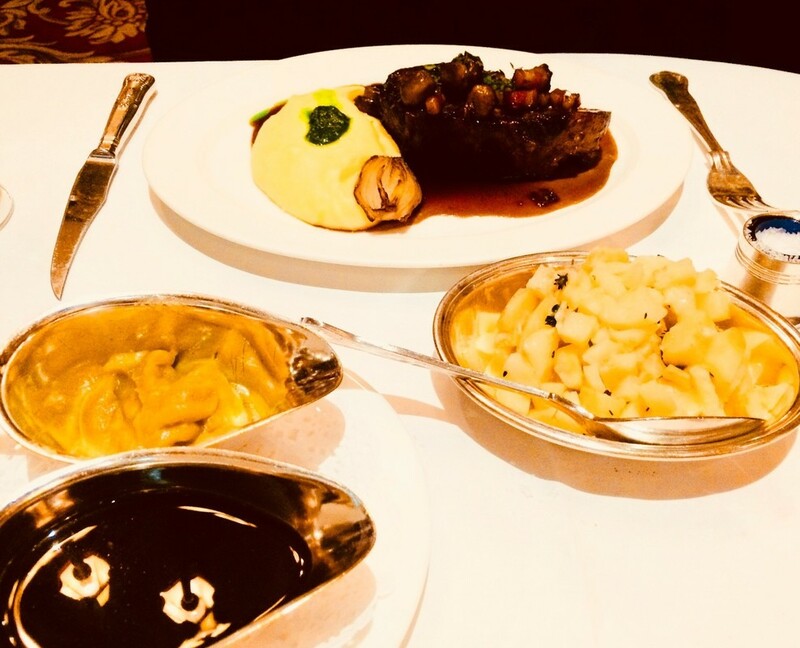 I booked a table for the Sunday a few days before Valentine’s Day, knowing that it would make Jo’s heart flutter to be taken to her favourite restaurant. For a restaurant with a uniformed doorman, Rules is completely unpretentious because it is authentic. It is not cheap to eat there - but then you know that already and it’s reassuringly expensive, unaffected by trends and fads. We are seated in one of the small booths and this goes down very well with Jo as they are her favourite seats. So far so good and it just gets better. ​The bottle of Merlot was lovely at £30 and our attentive waitress was topping us up with water from the off. Jo had a starter of Dorset crab salad, her second choice as the roast Quail was unavailable. This was the only negative really but the crab was delicious and served with toast and a light salad with red grapefruit segments and avocado. I had a caramelised cheese and onion tart with endive, walnut and stilton salad which was also delicious. The tart was very filling though, so next time I would have something lighter. 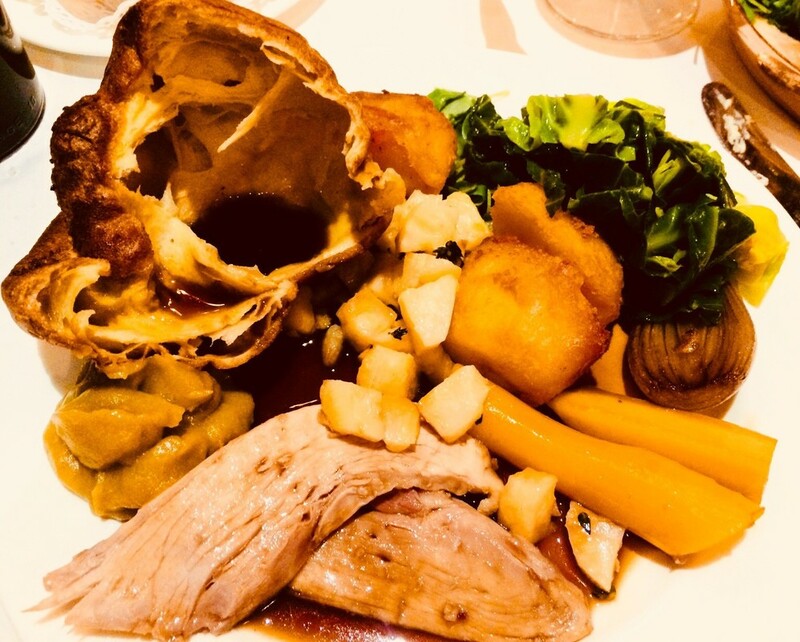 For our mains, Jo chose roasted leg of pork with roast potatoes, roast carrots, Yorkshire pudding and a smooth apple sauce. I had a slow-cooked beef featherblade in red wine, with bacon, mushrooms and creamed potatoes. We had two sides of vegetables; spring greens and crushed celeriac. Everything was just top quality and cooked to perfection. 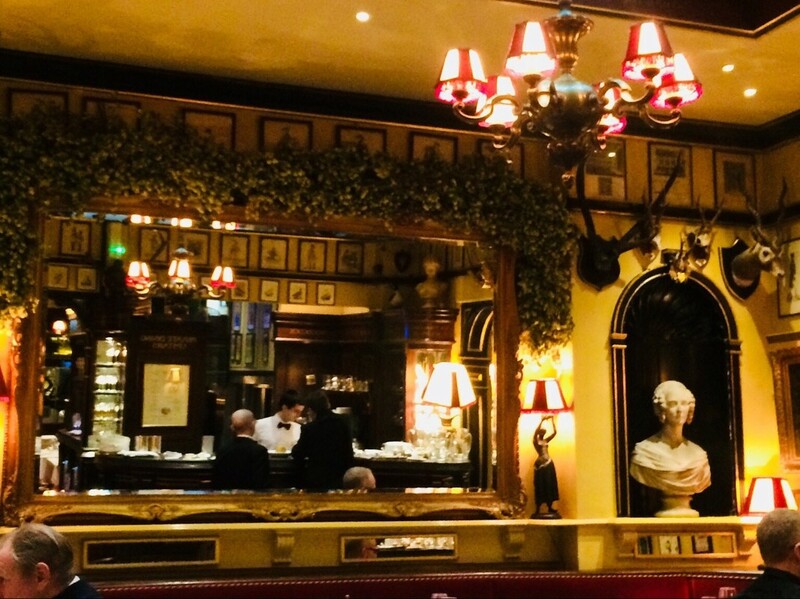 The whole experience felt sumptuous, yet lovely and relaxed; with just the right amount of attention from the waitress and everything served with efficiency and charm. We were too full for the pudding menu, but with two coffees, wine and service included, the bill came to £142.